A White House petition to name a Navy ship after former SEAL Chris Kyle currently has more than 2,500 signatures. The petition for the USS Chris Kyle was created Feb. 5 on the White House’s petition site “We the People.” You can sign it here. Kyle, the author of “American Sniper,” claimed to be the most deadly sniper in history, though those reports are unconfirmed by the Pentagon. He was killed Feb. 2 at a gun range in Texas. A public memorial for Kyle was held today at Cowboys Stadium in Arlington, Texas. Petitions on “We the People” will get a response from the government if they reach 100,000 signatures within 30 days, though the White House is not required to respond within a certain time frame. 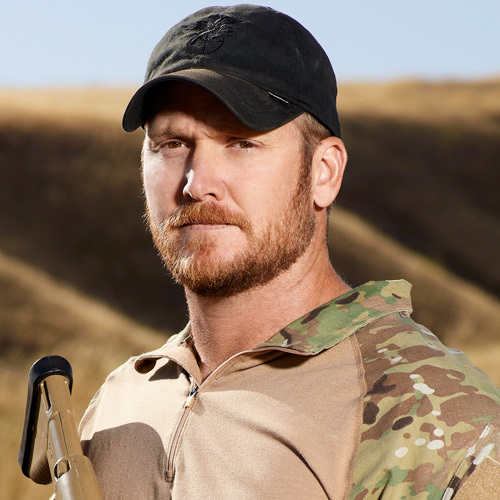 The USS Chris Kyle petition would need 97,327 more signatures by March 7 to warrant a response. Destroyer Michael Murphy, commissioned Oct. 6, 2012, was named for a fallen SEAL. Murphy was awarded the Medal of Honor for heroic actions in 2005 in Afghanistan. Yes! I absolutely concur. However, the way this administration is choking the Navy there are far too many deserving heroes and no enough ships to go around. We have ships named after presidents who are alive, politicians, places long forgotten- albeit important, foreign military and dignitaries who have not earned the distinction. There are 2 carriers named after senators whose only distinction was that they fought the Navy at every possible turn, and the next class of carriers could easily include a Johnson and a Clinton (who is widely believed to have evaded military service). The naming of ships convention should be overhauled with distinguished Navy veterans first, highly decorated military veterans second, presidents within one class (carriers) and only those who served the military (Johnson, Nixon, Carter, Clinton and Obama should be ineligible). Point being, Yes. USS Chris Kyle would be an honorable choice, but the naming convention honors those who don’t deserve it. And that’s a shame. YES! DO IT NOW! We can name a ship after Gabbie Gifford who has done NOTHING for the Navy, then we can name one for this warrior. Agree with your comments, but need to make it more clear that Johnson, Nixon and Carter were all Navy veterans. Clinton and Obama were not.